The world is messing with our minds. Rates of stress and anxiety are rising. A fast, nervous planet is creating fast and nervous lives. We are more connected, yet feel more alone. And we are encouraged to worry about everything from world politics to our body mass index. How can we stay sane on a planet that makes us mad? How do we stay human in a technological world? How do we feel happy when we are encouraged to be anxious? After experiencing years of anxiety and panic attacks, these questions became urgent matters of life and death for Matt Haig. And he began to look for the link between what he felt and the world around him. 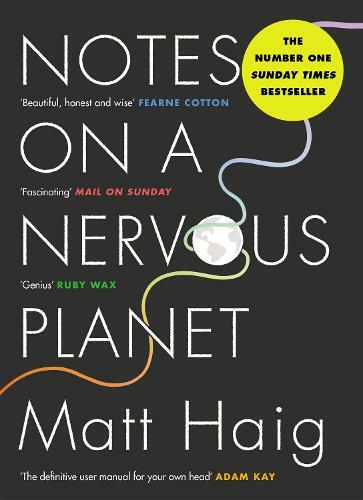 Notes on a Nervous Planet is a personal and vital look at how to feel happy, human and whole in the 21st century.